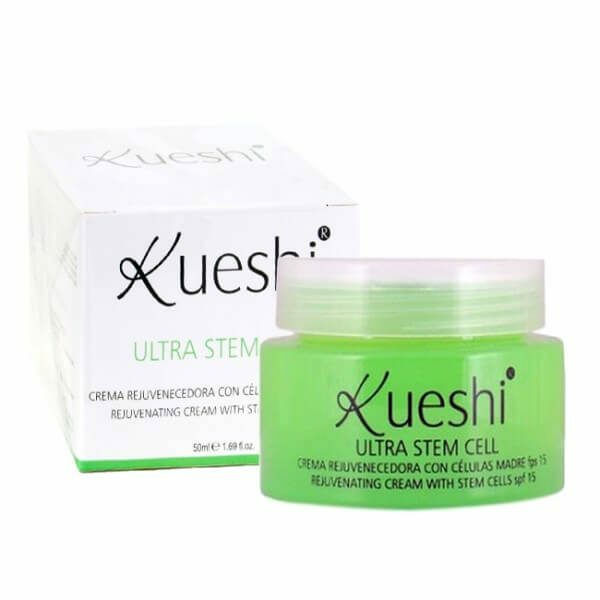 Stem cells obtained from orange organize the internal structure of the skin for a more youthful appearance: restore the structure of the dermis, is involved in cell adhesion and increases collagen and natural elasticity of the same and improves micro -relieve dermis. 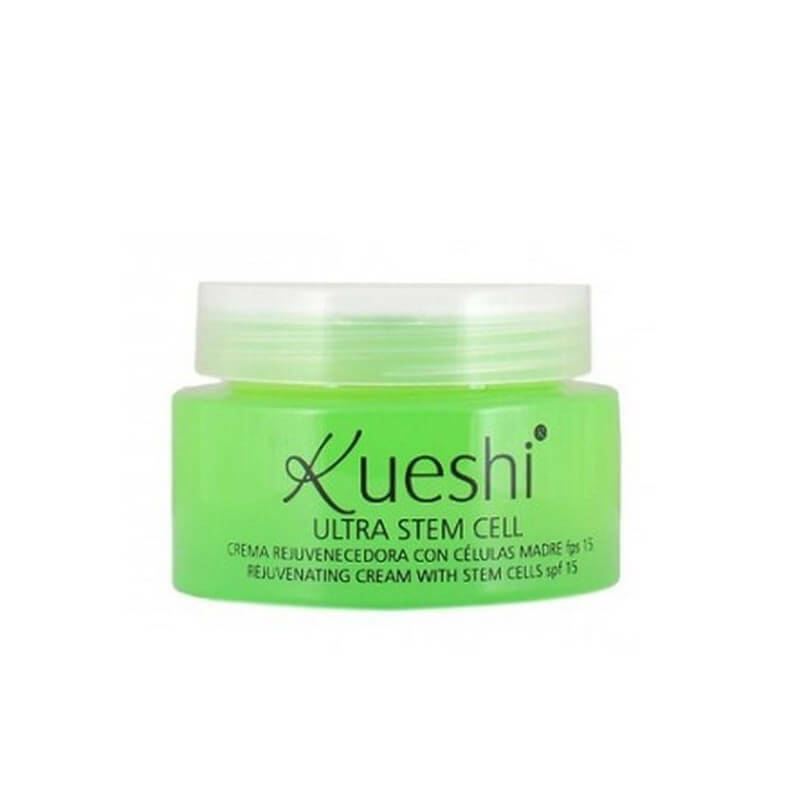 Stem cells obtained from orange organize the internal structure of the skin for a more youthful appearance: restore the structure of the dermis, is involved in cell adhesion and increases collagen and natural elasticity of the same and improves micro -relieve dermis. Moreover, hyaluronic acid increases hydration reducing wrinkles with excellent results from the first applications. 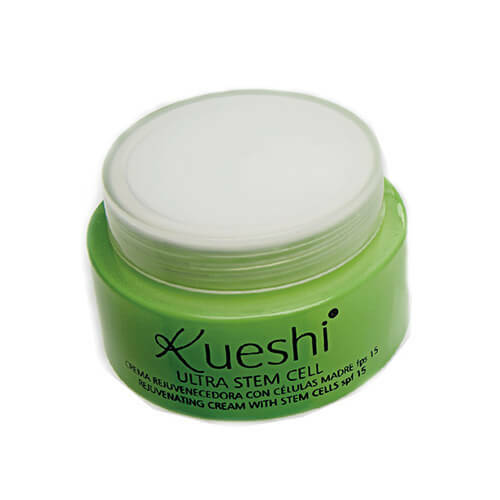 The excellent combination of components Kueshi cream, make this one of the best allies to rejuvenate the skin, immediately recovering its vitality, softness and silky. Instructions for use: use morning and evening after cleansing facial. 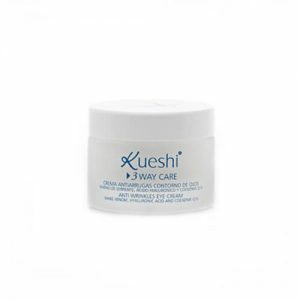 Apply a thin layer of product on the skin and spread with soft circular massages to promote better penetration of the cream until completely absorbed. 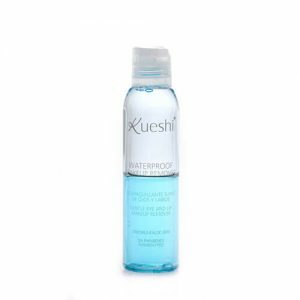 Ingredients: Aqua, Octyl Palmitate, Isononyl Isononanoate, Ethylhexylmethoxycinnamate, Methylglucose Sesquistearate, Glycerin, Citrus Aurantium Dulcis (Orange) Callus Culture Extract, Stearyl Alcohol, Glyceryl Stearate, Argania Spinosa Oil, Rosa Moschata Oil, Benzyl Alcohol, Dehydroacetic Acid, Sodium Hydroxide, Sodium Benzoate, Parfum, Disodium Edta, D-Limonene, Citral, Linaool.